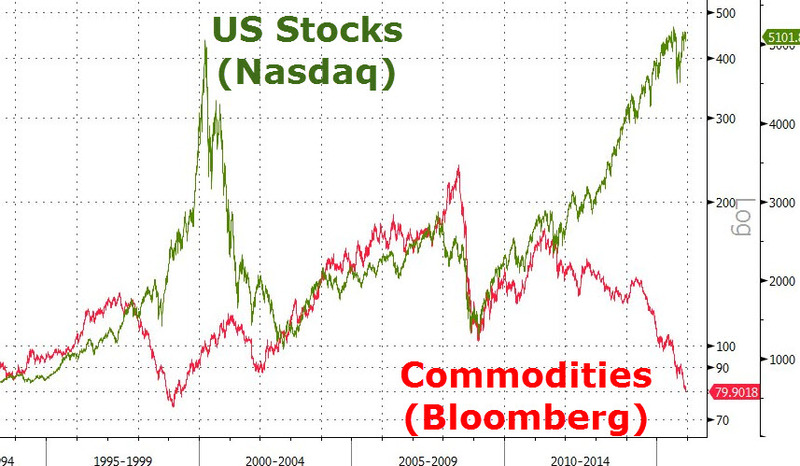 This will surely end ‘well’!!! 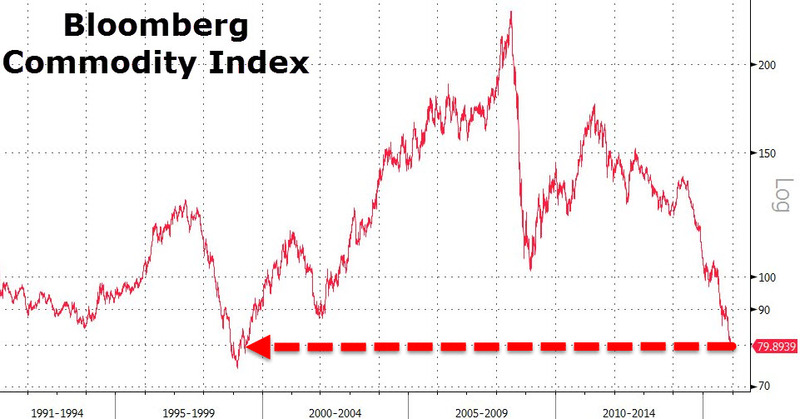 Commodity prices have not been this low since early 1999 (and are 22% below the trough in 2009). 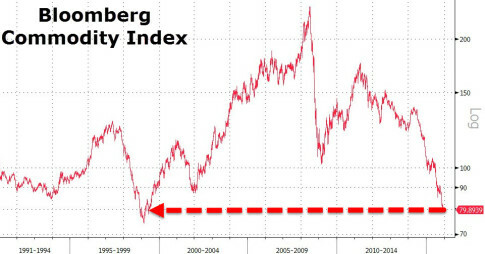 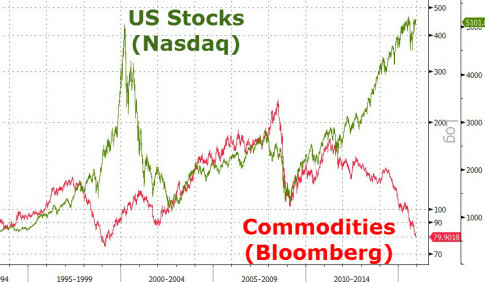 The last time commodities were collapsing like this as stocks were soaring like this… it did not end well..
Just keep buying FANGs… they will kepp you safe, right?